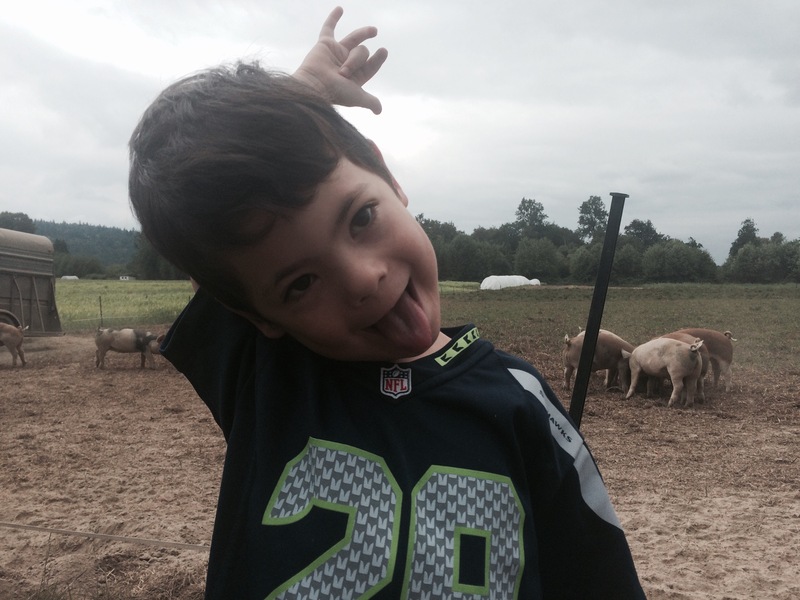 Our CSA holds a weekly farm school for kids in July and August. One of the farmers talks with the kids about some part of the farm. Last week he took us to see a beaver dam and explained how the dam affected the fields. Today, we got to see how they grind up grains for the pigs. 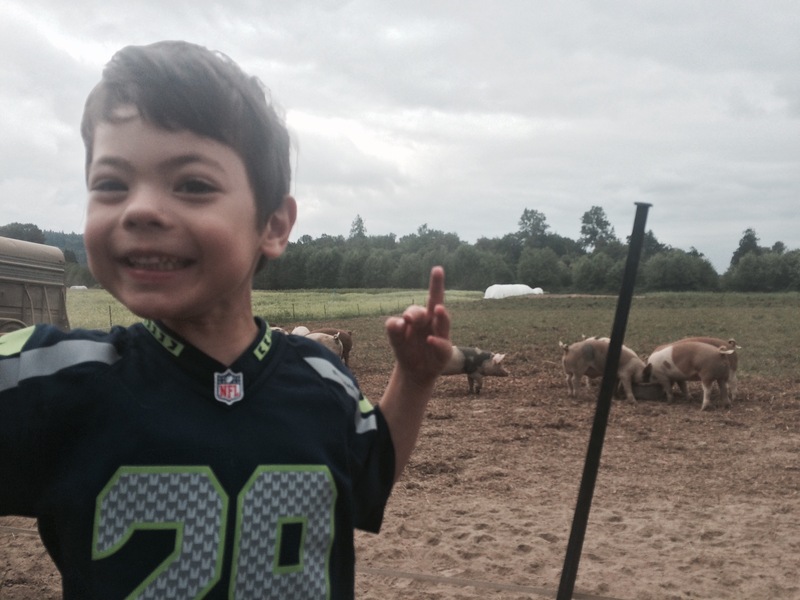 We also took a short hay ride to see the pigs and watch them eat. Sam loves farm school, which isn’t surprising. 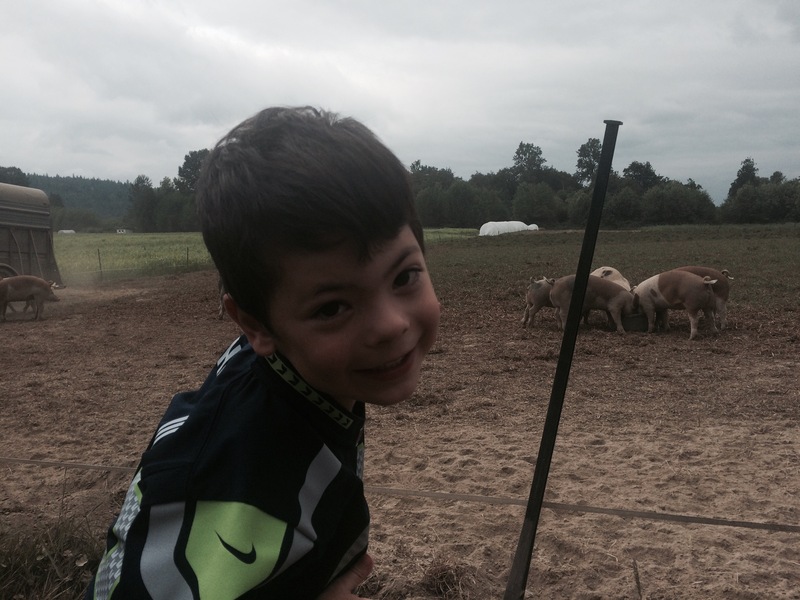 Nature, animals, plants, and tractors–all things he loves! And this little piggy made faces!